In recent days, a US jury have found Monsanto, producer of Roundup – a herbicide containing glyphosate – liable in the case of a man who claims his lymphoma was caused by their weedkiller. Whilst some research has suggested glyphosate is “probably carcinogenic”, as reported by the International Agency for Research on Cancer in 2015, debate still reigns. 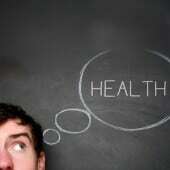 Nevertheless, it is important to weigh up all potential health risks when looking at the well-being of a person. The backbone of Homoeotherapy looks at individualised exposure to toxicity or environmental concerns and how well-equipped organs of elimination are to process natural levels of pathogens or pollution. Similarly, how strong are the body’s resources or cellular integrity. The proverb ‘it takes a village’ seems apt in the balance of argument. 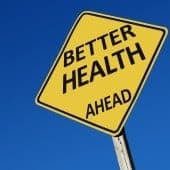 CAM Practitioners have already been using Homoeotherapy to assist the body in addressing exposure to chemicals or detrimental substances and will continue to examine ill health as a complete picture, not just singular infractions outside of the context of the whole person. 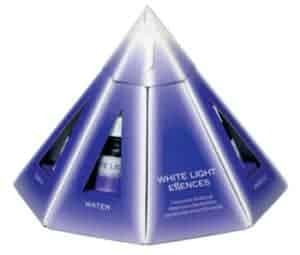 New Vistas Healthcare are delighted to announce that the spiritual White Light Essences are now in stock. Dr. Alice T. Epitropoulos of the Ophthalmic Surgeons & Consultants of Ohio, The Eye Center of Columbus; and Department of Ophthalmology, The Ohio State University Wexner Medical Center, Columbus OH published the article entitled ‘Effect of Oral Re-esterified Omega-3 Nutritional Supplementation on Dry Eyes’ in the Journal of Cornea and External Disease. 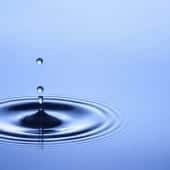 Conference: New Horizons in Water Science – Evidence for Homoeopathy? 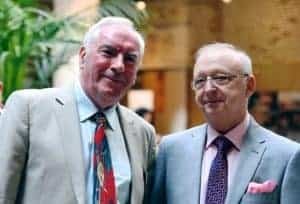 Last week, we had the honour of attending the much-anticipated international conference which presented scientific research on the role Quantum Physics plays in the life of the planet, its impact on health and how it supports the underlying science of Homoeopathy. Nobel Laureate Professor Luc Montagnier is well known for his research in chronic diseases and the role of viruses. He spoke of the consequences of environmental pollutants, such as pesticides, and the potential link between toxicity and the growing levels of adverse health conditions such as Autism and Lyme. Professor Brian Josephson, Nobel Laureate from the University of Cambridge, discussed water structures and how water behaves in given circumstances, underlining its suitability and potential contribution to health. Professor Gerald Pollack, Executive Director of the Institute for Venture Science in the US, discussed beautifully the nature and structure of water, the manner of how water reacts to actions, forming what he calls an ‘exclusion zone’ between surface and body as measured under laboratory conditions. Russian Professor Vladimir Voeikov talked about how structured water plays a key role in vital processes and how the dilution and succussion plays significant roles in the actions of water. Dr Robert Verkerk, Alliance of Natural Health, presented a thought-provoking piece on sustainable healthcare and the role CAM can play in a changing paradigm of healthcare which places emphasis on wellness outcomes rather than placing total reliance on pre-released clinical trials. Dr Menachem Oberbaum, Director for the Centre of Integrated Complementary Medicine, Jerusalem, informed delegates of homoeopathic research in his country, with clinical evaluations measuring patient outcomes from both CAM therapies and conventional treatments. Dr Raj Kumar Manchanda, Director General of the Central Council for Research into Homoeopathy in India, spoke at great length on the developing role Homoeopathy plays in the health service in his country. CAM therapies now have an entirely separate regulatory and administrative system within their national health service. Lord Ward-Atherton brought together an outstanding group of researchers who have worked for many years and accumulated an extensive database of research data. The community is indebted to him for his vision, belief and leadership in bringing together this meeting of great minds. 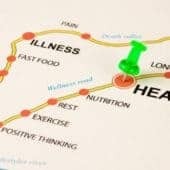 You may be familiar with the 2015 Australian Report issued by the National Health & Medical Research Council (NHMRC) suggesting that homoeopathy does not work. 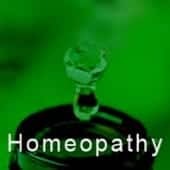 Following its release, an investigation by the Australian Homeopathic Association was launched into the NHMRC’s conduct. The report published by them was the second report commissioned and questions have been asked of their reviewing methods, the impartiality of the committee, the findings published, and the whereabouts of the first report. Subsequent complaints have been raised with the Commonwealth Ombudsman and after initial assessment, the complaint was found to merit a full investigation. Release The First Report is a global campaign inviting supporters of integrative healthcare and justice to lobby the Australian government to publish the initial report and make right the unfair discrimination against homoeopathy. Click here to sign this campaign and please share this link with other health enthusiasts. For more in-depth information, please visit the Homeopathy Research Institute’s website. With holiday upon us, we encourage you to pack some basic essentials which can help weather common complaints while away. Preventative measures are often the easiest way to encourage a smooth and enjoyable vacation. For all Home-Use Kits, we encourage the inclusion of BAC and VIR. BAC is a wonderful remedy to help with tummy upsets and it’s also a great hand sanitizer. No more sticky residue, this is gentle to both the skin and immune system. VIR can be used to help safeguard against nasty bugs and viruses. Take a week beforehand to help prepare the body and strengthen natural responses. As most of us plan to relax and enjoy our holidays for a week or two, Hepex, the homoeopathic liver cleanser, is a courteous way of showing our liver that we do care about it and we are very grateful for all its important detoxification efforts on our behalf. Microflora Liq. is a homoeopathic probiotic which helps strengthen natural immune responses. It can also help alleviate mild digestive complaints. If upset stomachs and delicate constitutions are your particular weak areas while travelling, consider Digestive System Liq. It also works wonders after a heavy meal or over-indulgence. ADI may also come in handy for bouts of diarrhea. Remember to stay well hydrated throughout your travels also. For those of you who take great pleasure in the sun and high temperatures, Australian Bush Flower Essences provide a lovely remedy called Mulla Mulla, which can help with sunburn. It’s great mixed with our own Vitamin E cream but can also be taken internally. It reduces the negative effects of the sun’s rays and encourages feelings of comfort with heat. For those preparing their bodies for the beach, or for people who find they suffer from sun burn, pack the versatile and luscious Argiltubo Clay Mask. Made from Sicilian green clay, this ready-to-use face and body mask can help sooth red or burnt skin. It also improves the look of skin tone, firming and refreshing the appearance of fine lines, stretch marks and cellulite. Its exfoliating and anti-ageing action is another reason this mask is so popular, and it also soothes the appearance of acne and pimples. Australian Bush Flower Essences also offers a Travel Essence which is great for jet lag. It helps people feel more balanced when they arrive at their destination, especially if they find travelling disorientates, depletes or drains them. For those of nervous disposition, travel with our own ANX. This is a popular first-aid remedy for all sorts of trials and tribulations and it helps restore a sense of calm and peace for those who feel agitated and anxious. It can be particularly helpful for those who don’t enjoy flying. Speaking of which, don’t forget some Algin, to help counteract the negative effects of airport travel. Often people find themselves quite unbalanced after flights. This can also be due to the disruption of the central meridian equilibrium. So keep in mind how the environment around you makes you feel and how it can affect you and your wellness. An interesting article entitled ‘The health professional embracing complementary medicine’ was published in ‘The Irish Times’ this week. Dr. David A. Brennar of the Department of Medicine, University of California San Diego, La Jolla, CA published an article entitled ‘Role of Gut Microbiota in Liver Disease’ in the Journal of Clinical Gastroenterology. We have spent the last number of months excitedly awaiting the arrival of May 25th. Ian White, B.Sc., N.D., D.B.M. Naturopath and Founder of Australian Bush Flower Essences, had not lectured in Ireland for many years and whilst his reputation was highly regarded, it must be said that nothing beats the real deal. If a picture paints a thousand words then meeting this great man in person is the equivalent of an illustrious literary achievement. Ian’s poise brought great balance and ease to each day. He led wonderful meditations throughout every class, which also set a measured tone of expectancy for the remainder of the day’s participation. His clear and methodical approach ensured that each topic covered a variety of relevant and practical information, which can easily be used in any home or work setting. For healthcare professionals, his experience as a practitioner shone through, with thought-provoking insights and disciplines as to how to reach and help those crippled or plagued with deeply rooted health concerns. Not all advice centred around the ABFE range either, and so exploring additional wellness ideas such as numerology, expanded the set of tools which we all have at our disposal. We witnessed the conviction of kinesiology, of detrimental self-talk and negative beliefs and we could have talked about the art of forgiveness as an entire session in itself. Friday was the Women’s Health workshop. The role of females, of how we see women, their relationships and physicality was discussed in great lengths. Topical concerns such as esteem, sexuality, family planning, comfort eating, family life, HRT, breast cancer and self-acceptance were all presented with a definitive wisdom and assurance. It shone a significant light on the role of ‘mother’ and undoubtedly inspired many attendants to delve deeper into their discomfort zones and review personal conceptual feelings of their place here in this life. Saturday was an inspired workshop in terms of its bearing on our current society and the modern dilemmas faced daily by so many men, women and children. Mental & Emotional Wellbeing looked at the whole environment surrounding everybody; how a child is born, miasmatic inheritances, even close proximity to electronic devices and how we perceive spiritual pollution. The applications of Ian’s teachings and experiences can be exercised to help stressful situations from asthma to chronic worry and everything in between. We explored depression, bullying, sadness, dementia and cognitive imbalances which may be impeding greater health. 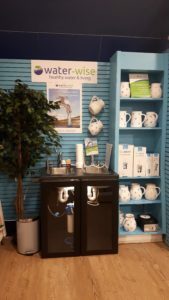 Overall, we were presented with safe and easy tools to improve our emotional intelligence, and from there physical good health will also flow. Sunday was Ian’s Masterclass and we had the opportunity to explore a variety of topics personal to participants. 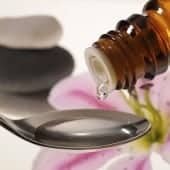 The Bush Flower Essences have been respected for many years for their gentle influences but be sure that these powerful remedies are imprinting strong and sturdy messages of support. 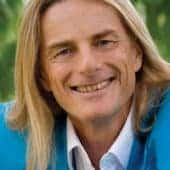 For further guidance, we highly recommend either of Ian’s books, “Australian Bush Flower Healing” or “Australian Bush Flower Essences”, which discuss in detail the significance, history and applications of over 69 flower essences and a wide variety of emotional and physical complaints. We would like to thank Ian for a profound and fun weekend and his wife Jane whose jolly energy brought extra warmth to each day. Thanks also to Seamus Murphy and Independent Irish Health Foods whose support was central to our wonderful event. Special thanks to all those who participated throughout each workshop – thank you for travelling and being present. We look forward to welcoming you to future events. Petra Weiermayer, Tierarztpraxis Weiermayer, Premreinergasse 25/11, 1130 Vienna, Austria published a case report entitled ‘Wound Healing Disorder in a Horse, Associated With Antimicrobial-Resistant Bacteria, Resolved With a Homeopathic Medicine – A Case Report’ in the Journal of Equine Veterinary Science.